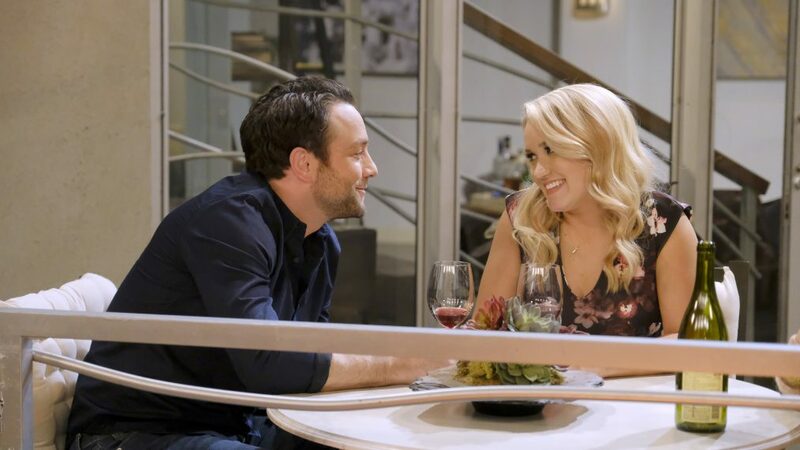 After five seasons of Young & Hungry, Emily Osment looks back fondly on her experience playing the loveable, mischievous, but always good intentioned, Gabi Diamond. The show, inspired by San Francisco food blogger Gabi Moskowitz, took audiences through the ever-changing romance between chef Gabi Diamond (Emily Osment) and her rich tech mogul boss Josh Kaminski (Jonathan Sadowski). Along for the ride were Gabi’s roommate and bestie Sofia Rodriguez (Aimee Carrero), Josh’s housekeeper Yolanda (Kym Whitley) and publicist Elliot Park (Rex Lee). Find out what's on the menu for the last 10 episodes of the series and if a movie is still in the works. The series finale sees Josh take the gang for a getaway on his new yacht. It’s there that Gabi is given the opportunity of a lifetime by the yacht’s chef (Alex Guarnaschelli) but Josh has his own proposal in mind. Before saying goodbye (maybe just for now if we get that movie!) to the beloved Freeform comedy, Osment takes time out for an exit interview. What was going through your mind when you got the news initially about the show ending? Emily Osment: It was a hard one to stomach. It has been over a year since we shot the episode, and we all assumed we’d come back. It was hard to keep my mouth shut about what actually was going on in the series finale that we were doing. Then when we found out we weren’t coming back, I also had to keep that under lock. So, it was difficult to keep it private for so long. We really wanted to go back. We really wanted to end it and have a nice closing for the show. And you might still get that chance because there have been talks of a movie. There is a script floating around, so I think it would be a really great way to wrap everything up. We want to give that to the fans. Right now, the ending is very much a cliffhanger. I think we can all assume what Josh says, but I would still like to see the chapter close. Tell me what it was to be on this show and have the role of Gabi Diamond to sink into. You essentially have grown up in front of the camera going all the way back to Disney Channel's Hannah Montana. 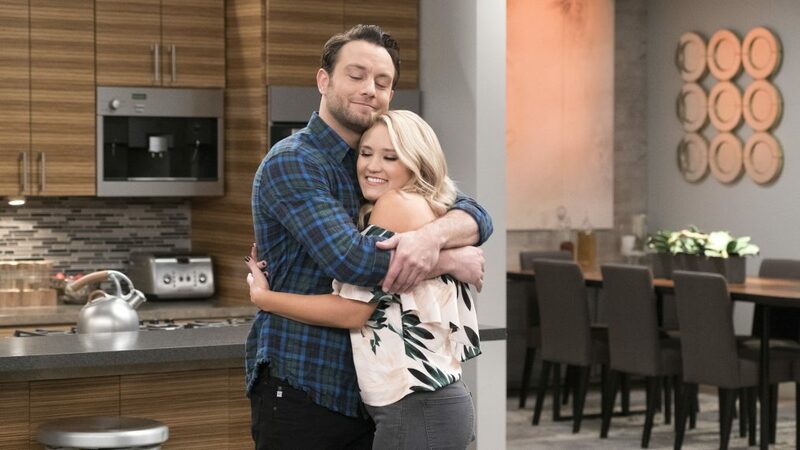 However, in Young & Hungry you’re a twentysomething dealing with these young adult issues. This show is nothing like Hannah Montana. It’s a four-camera sitcom. It’s a comedy, but the issues we discuss, and the type of comedy is very different. I think I’ve been lucky to characters on Hannah Montana and on Young & Hungry that were my own age. A lot of times that is not the case. I usually play younger than I am. On this show, I get to play my own age, which helps when you show real issues that maybe I was going through in my own life. I drew a couple of parallels for sure when we were working. It was a really wonderful experience. It was a lesson in taking care of yourself because we worked very hard. There was a lot of patience I acquired during this. I loved it so much, and I loved everybody that I worked with. It was a long run, and we had a really good time. I can go back and re-watch the episodes if I miss them. It’s all streaming on Netflix now. There seemed to be some strong camaraderie on set. The cast seemed to have a lot of fun together. Definitely. We all got along really well. We all came from sort of a comedic place and background. So, it wasn’t hard to get us all in a room and make it all work. It was fun. It was such a great group. We’re all going to be family forever. Freeform's TV movie sequel will co-star a 'Grown-ish' star. Looking back, is there one episode you are most proud of or will always remember? It’s tough. There were almost 80 episodes that we did. A lot of them kind of all run together because you’re doing three weeks on and then one week off. It has been a year since we shot the finale, and I actually had to really think about what the storyline was because it had been so long. I think we were very lucky to have the same crew for as long as we did. There are definitely some crew members we had since the pilot. It wasn’t just our cast and writing staff. It was our camera operators and our sound guys, and our editor Brent, and our director Andy. Everyone was a family. I think I will always remember most is working with people that I have worked with in the past, and we got to go on this journey together. I run into people when I’m working on other things that were crew members on Young & Hungry. Actually, I just finished a show called The Kominsky Method for Netflix that is coming out in a couple of months. One of our prop guys on The Kominsky Method would wear his Young & Hungry shirt to work because he missed it so much. He loved that we got to work together again. It’s that thing that brought us all together, and we got to be together for a long time. I felt really lucky for that. Speaking of The Kominsky Method, what was it like working alongside such a strong cast including Michael Douglas and Alan Arkin? It was wonderful. It was interesting to go from a four-camera sitcom to a single-camera comedy. That’s always fun. It’s a much longer day, but you get a couple of chances at it. Whereas when you are doing our live show you have a couple of chances, and that’s it. I remember going home a couple of times and kicking myself for not making a certain choice. When you’re doing a single camera comedy, you have a lot more time to make decisions. It was wonderful working with Michael Douglas. I played in his golf tournament like 10 years ago with my brother [actor Haley Joel Osment]. We would talk about golf a lot. Alan Arkin is so cute. I know it’s weird for me to call him cute, but he is adorable. The cast with all of the guys in the acting studio, we’re actually really close still. We’re excited to see if we will come back for season two. You also talked a little about the Young & Hungry movie. What else can you say about that and what you think would be included in it? When you look forward with the relationship of Josh and Gabi, what do you want to see in this movie plot to bring closure? I would love to see a wedding. I hope that is in there. I want to see them get married and have Gabi sort of solidify her career a little bit more and figure out if this job in Seattle is going to work. Maybe have Josh take a back seat in his career to have her shine. I think that is something every couple can deal with when you are both working really hard. Sometimes one has to take a back seat in order for the other to shine. I think that is important too. I would love to shoot it in a very fun place. Maybe not in California. Maybe we travel the world. There have been talks of that as well. I think it would be really fun. I’ve talked to Jonathan about it, and we hope it happens. We’ll see. Season 2 of the Freeform series just finished airing in May. With the show itself being over, is there anything from set that you’ll hold on to as a memento? I still have my old crappy IKEA furniture in my garage from my dressing room. I don’t know if that counts. I wrote my name on the inside of the wall of the window frame in my dressing room. It probably got painted over, but I kind of hid it in a spot. Hopefully, that’s still there. I still have my wig that I wore on the show. Some outfits I loved. I wore these shoes that I wore in every single scene. I actually still have the shoes that I wore in the pilot. It seems like a weird thing to remember, but when you’re walking around, and your feet hurt for eight hours, it’s hard to forget them. We really didn’t get a chance to take anything, but I didn’t really need to. I remember it fondly, and right now, it wasn’t that long ago. I do still have the script from the pilot that I got framed, which is cool. It was an odd thing to have end and the way it did. So, I’m excited to see if we get the chance to really wrap it up again. You had such a dedicated fan base. What’s the one thing you want people to take away from the show? She messes up a lot as we all do. She gets herself out of trouble, but I think we played it really realistically and honestly with the relationships and friendships we had together. It wasn’t all comedy. We dealt with some real moments, and we shed some tears. It was a very well-rounded, all-encompassing show. I give that all to [creator and executive producer] David Holden. He did such a wonderful job making it real. One of the great things about the series was, through it all, Gabi never changed who she was. No matter how rich Josh was or the shortcuts he may have been able to provide, she still lived in that small apartment with Sofia. Where do you see Josh and Gabi’s relationship 10 or 20 years down the road? How do you picture them? I hope they are still driving each other crazy. I like that about their relationship. They both spoke their mind so much, and it caused them to get into arguments. But sometimes it’s good to fight because you get to find out how you really feel about stuff. I see them together. Absolutely. I don’t even know where they would be though. I don’t even know where I see myself in 10 years, let alone where I see Gabi.